Heritage is a posts about honoring the Legends of Fashion. Elsa, Guy, James are a few I did in the past. This time it´s the French designer Maggie Rouff . There is not much on the web about this Legend but I did found this amazing footage for you starring madame Rouff of course. Even mr Pierre Balmain pops by, these days known for the rock inspired Creations. 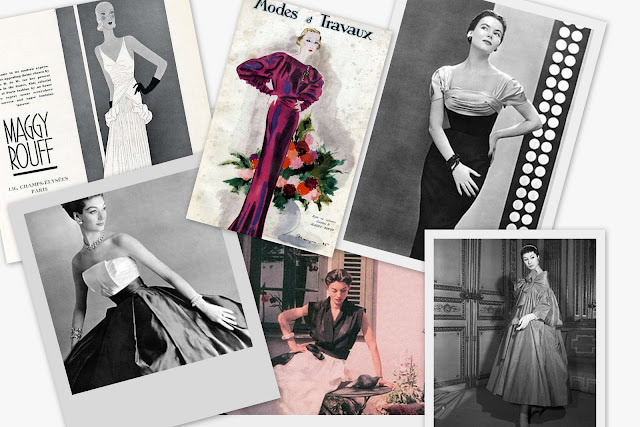 Make sure you check them out espescially the last one: Présentation de la mode "New look 1949" My french isn´t that good ..luckily Fashion doesn´t need words to understand. It´s a shame they are so shurt though!! Born: Maggie Besançon de Wagner in Paris, 1896. Career: Designer for company owned by parents, Drécoll; own house opened, 1929, specializing in sportswear and lingerie; retired, 1948; daughter, Anne-Marie, took over; retired, 1960; house turned briefly to ready-to-wear; closed, 1960s. Awards: Chevalier de la Légion d'Honneur; Conseilleuse du Commerce Exterieur. Died: 7 August 1971, in Paris. Maggie Rouff started designing at the House of Drecoll, where her parents were the directors. Here she defined her own signature and her success came not long after when her gowns where hitting the silver screen. They were worn by icons of the early cinema like Theda Barra, Pola Negri, and Greta Garbo. 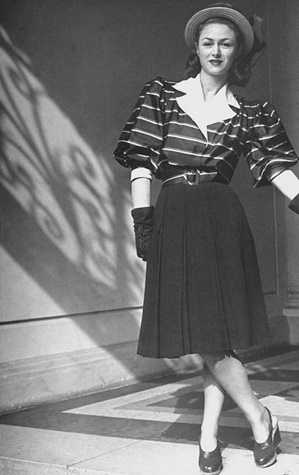 Femininity was the key in the designs of Maggy Rouff. 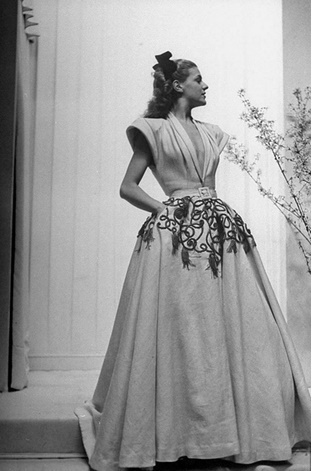 She loved draped details, fichu collars, puffed sleeves, 'bustle'-draped skirts and bow motifs. during the 1930s Rouff created closely fitted dresses with shirring, sometimes decorated with diagonal tiers of ruffles. She also introduced many innovations into sportswear, including her jersey 'plus-fours'. 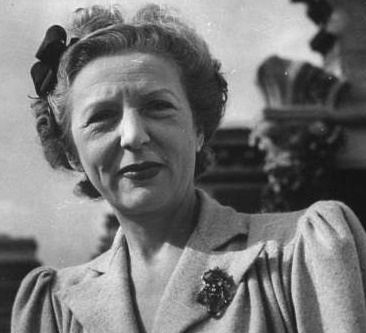 Rouff's daughter, Anne-Marie Besançon de Wagner, took over the designing in1948 after her mother retired. The house maintained the attitude of Madame Maggy Rouff and the clothes were still elegant and feminine. But the first few years Anne-Marie was inclined to exaggerate. As the 1950s progressed, however, she found her own sense of focus and style. The house of Maggy Rouff did not survive the make-or-break period of the 1960s. Three designers worked for the house in the 1960s, during which time the business was transformed into a ready-to-wear house. The company was closed before Rouff's death in 1971. Maggy Rouff believed in elegance as a way of life and the way of fashion. A true elegant woman was in harmony with her environment and herself, and to Rouff this also meant being properly dressed for every occasion. Her vision on fashion wasn’t conservative. 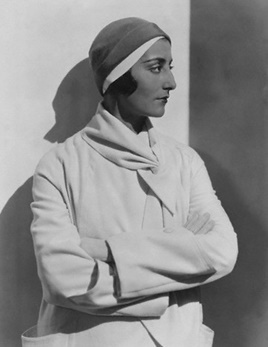 On the contrary, Maggy Rouff strived for innovation in creating her garments. She believed that Innovation combined with taste meant being Chiq because without the taste… it would just meant being eccentric. PRÈSENTATION DE LA MODE "NEW LOOK 1949"
Amazing! In the last photo of hers she looks great! That was real haute couture there! wow interesting blog! I'm following!